Over the past few years, I’ve slowly let the pounds pack on. I wish I could blame it on baby weight, but sadly I weighed less the day I came home from the hospital with my youngest. My number one problem is chocolate! After eating dinner, the chocolate craving immediately sets in. For a long time, I would grab a Twix or KitKat. I’ve slowly been making some changes in my life and giving into my chocolate craving was one of those changes. I don’t believe diets work. 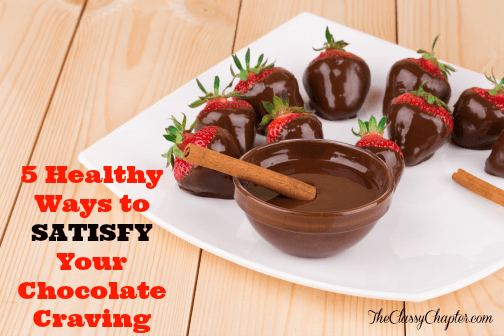 I believe in lifestyle changes and I knew that completely giving up chocolate just wouldn’t work for me. Instead of completely giving up chocolate, I now reach for my low fat dessert alternatives. I still get my craving fulfilled without all the high calories. 1. Chocolate Covered Banana’s – Sometimes I’m just not in the mood to do anything but grab something out of the freezer. Dole has chocolate covered banana’s in the freezer section at most grocery stores. Not to mention they are only a 100 calories! Score! 2. Pudding with Cool Whip – I’m a sucker for everything chocolate and sometimes I need a big overdose of chocolate in order to fulfill my craving. When I’m in full chocolate craving mode, I whip up a batch of low-fat instant chocolate pudding and add a big scoop of low-fat Cool Whip on top. Talk about heaven without the guilt! P.S. make sure you use non-fat or low-fat milk! 3. Luna Bar – My favorite bar by Luna is the S’mores bar. Totally gives me the candy bar craving without all the fat and sugar. The only problem with this bar is that one is never enough! 4. Skinny Cow Ice Cream – Yes, I do go crazy for ice cream! Skinny Cow is one of my favorites because their selection is huge and I’ve yet to come across a store that doesn’t carry Skinny Cow. 5. Fruit Fondue Bar – Totally guilty of setting up a fruit fondue bar in my home. Dark chocolate melted with a wide selection of fruit is a weakness of mine. Apples, strawberries, pineapple, oranges and any other fruit works for me! Anytime my husband is feeling nice or in trouble, he brings home Edible Arrangements. Instant happy wife! I am a serious choco-halic. these are great tips, I like the pudding idea best. yum! I’d go for the chocolate fondue anytime! Now I’m craving for Godiva’s chocolate covered strawberries! cai recently posted…CHRISTmas Series Part 2: Christmas Tablescapes That Will Definitely Wow Your Guests!!! Pudding with Cool Whip is just about the most delicious thing ever conceived. I eat it whenever I’m craving chocolate. These are awesome tips. Chocolate covered fruit is always a big hit! I love this so much, strawberries dipped in chocolate is so yummy! Pudding works pretty well for me on chocolate cravings. I can vouch for that one! These are awesome chocolate dessert ideas. I haven’t had chocolate covered bananas for a long time so I am going to make them tomorrow. Thanks for sharing. Chocolate covered strawberries and bananas are one of my favourite snacks. 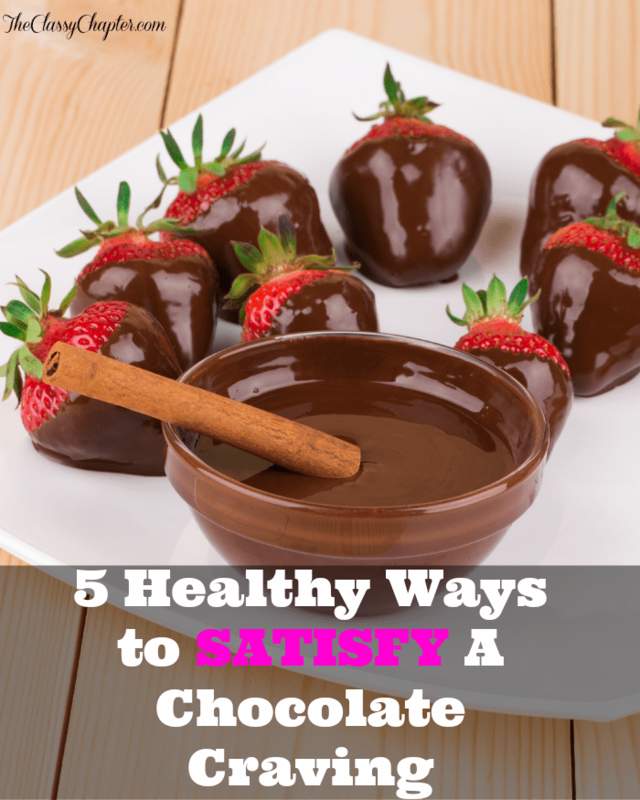 You get to taste chocolate and also eat some fruit. I definitely have a chocolate craving here and there! This is so delicious! I love chocolate 🙂 Thanks for the “healthier” options! I love fruit fondue! I haven’t had one in a while though! lol Now I’m craving chocolate!